Easy weeknight dinners are a must in our household. 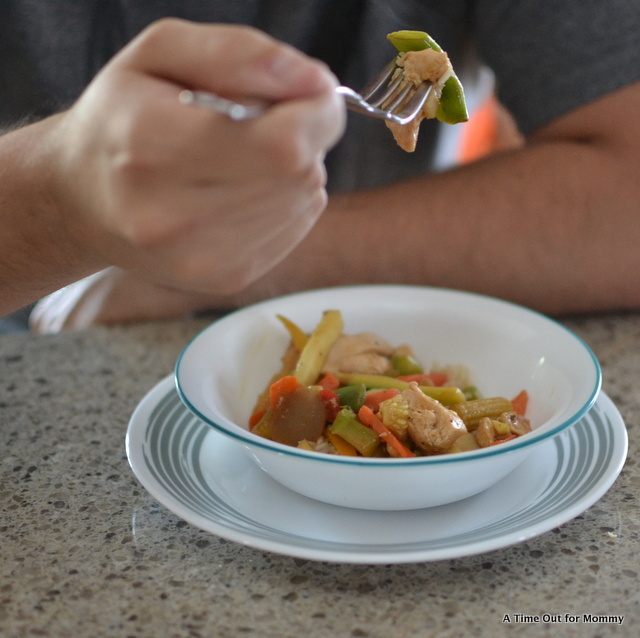 With after school activities most afternoons, dinner is often prepared early, or in a haste. 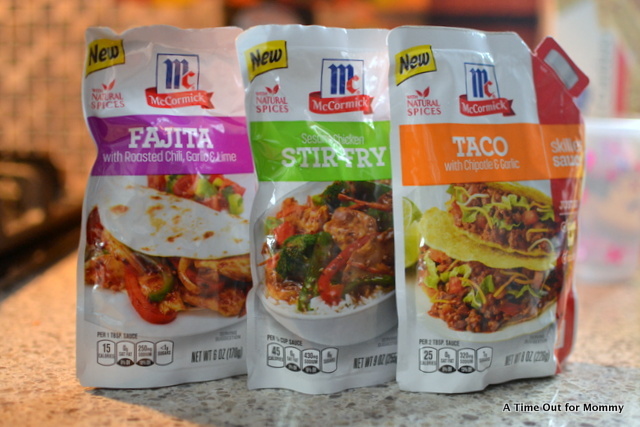 Thankfully with McCormick, those nights I forget to plan properly can still end with a tasty, healthy meal. 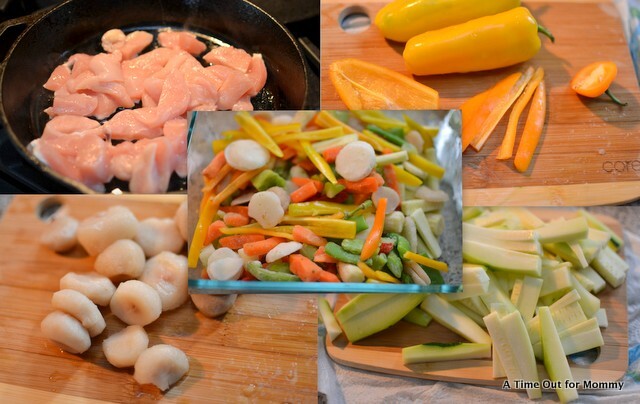 Stir fry, fajitas, and tacos are all top-choice quick meals that everyone in my family loves. 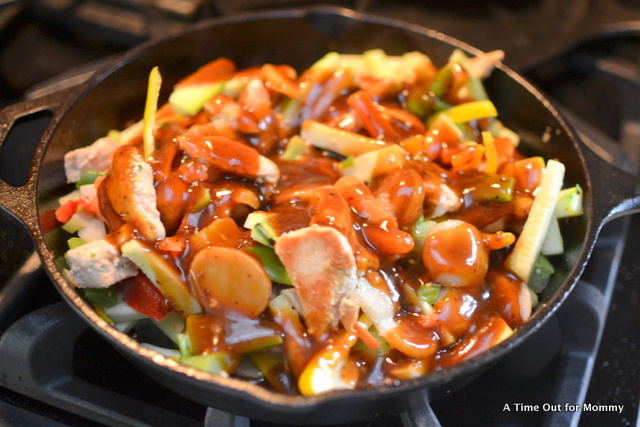 I typically have everything on hand for these meals, with stir fry being the easiest- a few boneless chicken breasts, a frozen bag of mixed veggies, and stir fry sauce is all I need for this delicious one- pan meal. I whip up some rice and dinner is complete in about a half hour. 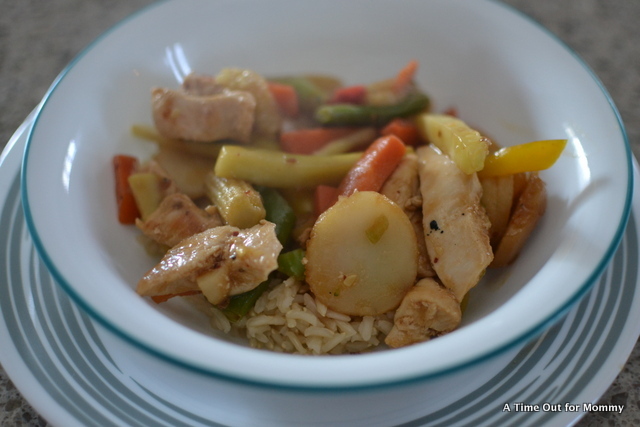 Stir Fry, although easy, took a lot of trial and error before I got the flavors down. 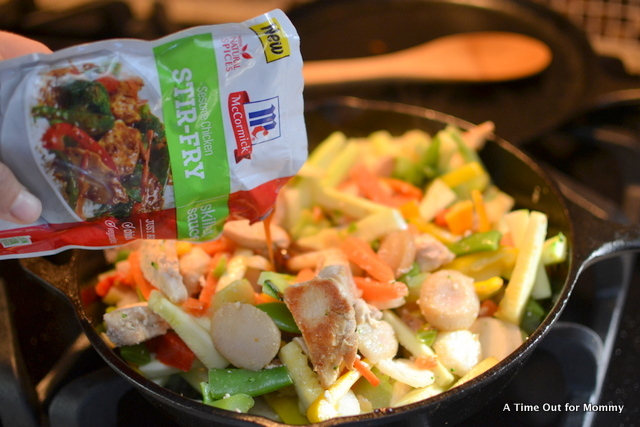 There were many stir fry flip flops that ended in take out because the flavor just wasn’t right. 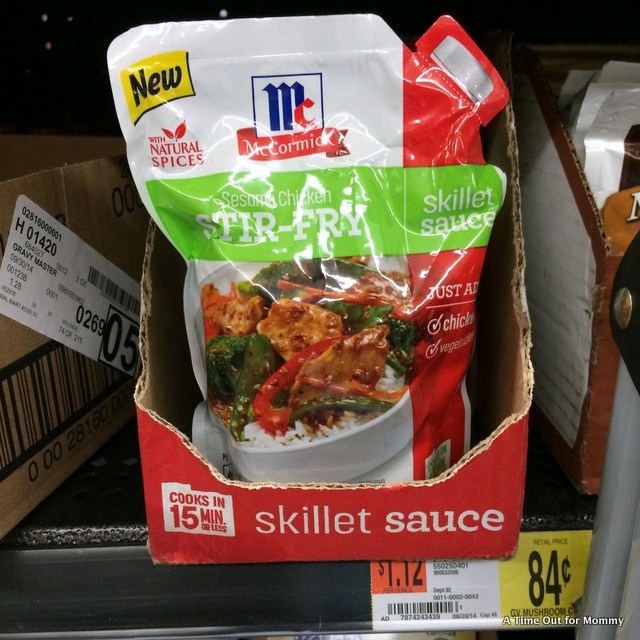 McCormick Skillet sauces take the guesswork out of sauces and seasonings. 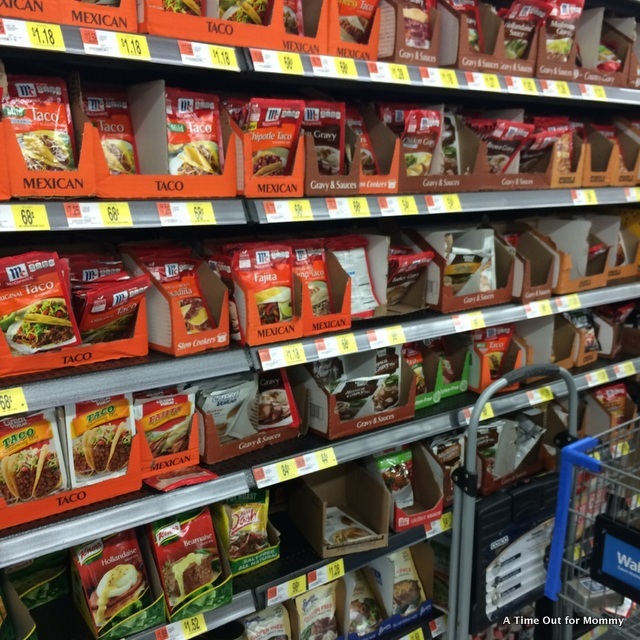 One packet of skillet sauces is all you need to create a successful, tasty meal in just a few simple steps. 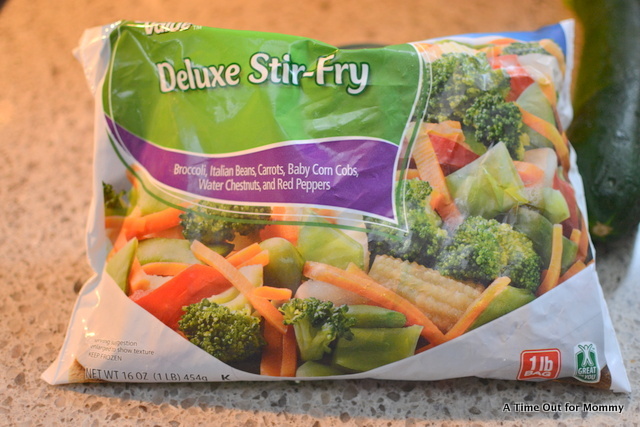 While you can use just 1 bag of stir fry mixed veggies, I like adding a few of my own, like zucchini, peppers, and water chestnuts for an extra crunch. 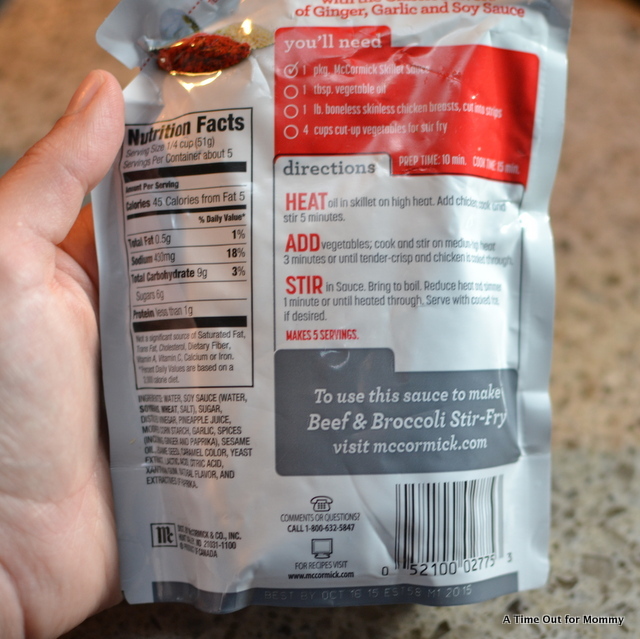 McCormick has REAL ingredients that I can read, making it a good fit for my family. 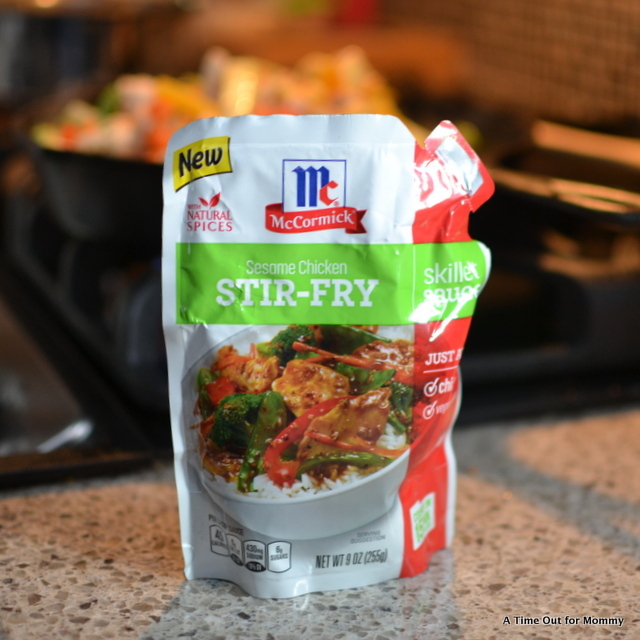 The simple steps for a successful one-pot (or one wok) meal are right on the back of the package and very easy to follow. Brown the meat, add the veggies, saute, add McCormick Skillet Sauces and cook for about a minute. This should make about 5 servings according to the back of the package, but with the added veggies we were able to stretch the recipe a bit and have leftovers for lunch the next day. 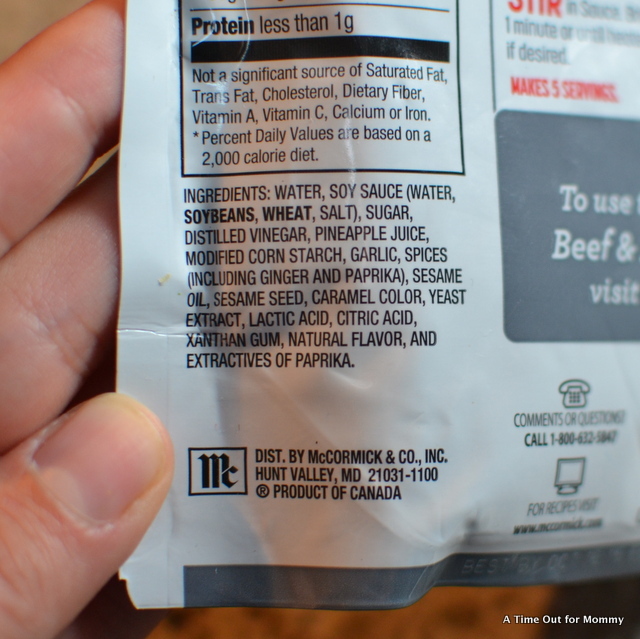 I love using these types of packets when I make meals. Makes life so much easier!